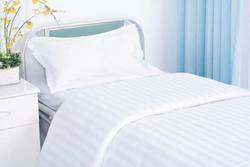 Hospital Bed sheets with size 5 x 7.5 ft , 5 x 8.5 ft etc are available . We are offering Hospital Bed Sheets to our clients. Polycotton in different combinations .